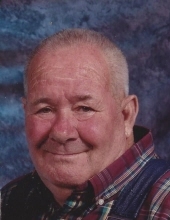 Denver Smith, 83, of Manchester, KY, passed away Tuesday, November 27th, at his home. Denver was born on August 30, 1935, a son of the late Cordia E. (Mills) and Dexter Smith. He was preceded in death by his wife, Beulah Rose (Yaden) Smith. Carol Myers of Indiana, Flossie Smith of London and Loma Messer of Richmond. Denver is also survived by four sisters: Tressie Root of London, Emma Stanfield of Manchester, Bernice Chadwell of Corbin and Gelema Ferguson of London; and by 10 grandchildren, 17 great grandchildren, and one great-great grandson. In addition to his wife and parents, Denver was preceded in death by his son, Denver Merlin Smith; his daughter, Marcella Lynn Smith; his brother, Farmer Jay Smith; his sister, Prudy Mae Hicks; and 2 great grandsons: Christian Nathaniel Messer and Ryan Chance Messer. Services will be held at 1:00 PM on Friday, November 30th at Britton Funeral Home in Manchester, KY, with Roger Hayre and Herman Mills officiating. Burial will follow at the Mills Cemetery. Visitation will be held 6:00 PM on Thursday, November 29th at Britton Funeral Home in Manchester, KY.
To send flowers or a remembrance gift to the family of Denver Smith, please visit our Tribute Store. "Email Address" would like to share the life celebration of Denver Smith. Click on the "link" to go to share a favorite memory or leave a condolence message for the family.